Stuck in the Garden of Morr, the party desperately struggles to find a solution to the undead outbreak. How appropriate for our Halloween episode! Zombies, Wights, Ghouls and Witches ensue. With a Beastmen Horde fast on their heels, the party races back to Stromdorf. Will they arrive in time to set up a proper defense and save the city from annihilation? Will the Wood Elves’ poor decisions be pointed out by the townsfolk and will they become further outcast? 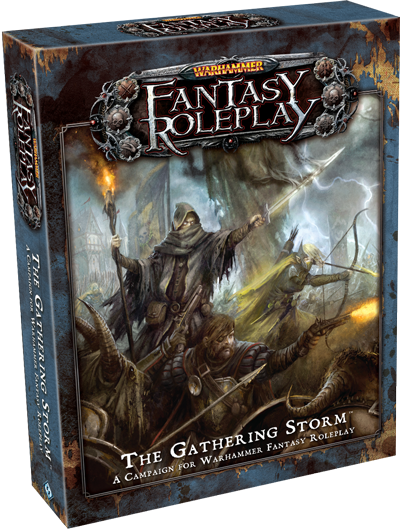 Two Wood Elves and a Dwarf walk into a bar… yea it sounds like the start of a bad joke but this is what we are bringing to the table for our Gathering Storm adventure with Chris Wagner as GM. The Party find itself outcasts among men, some driven by gold, others by balance, and others still by visions of lightning. What lies in the wet and sodden town of Stromdorf?